One of President-elect Trump’s pre-election promises was to make Apple manufacture its products on US soil instead of China. Now that the Republican is on his way to the White House, such a move could be possible - and it seems an Apple manufacturing partner has been preparing for it. According to Japanese website Nikkei Asian Review, Apple asked the two firms that assemble the iPhone - Foxconn and Pegatron - to look into assembling the devices in America back in June. Pegatron is said to have rejected the idea due to the increased costs, whereas Foxconn “has been studying the possibility” of opening US-based facilities. "Apple asked both Foxconn and Pegatron, the two iPhone assemblers, in June to look into making iPhones in the U.S.," an anonymous source told the publication. 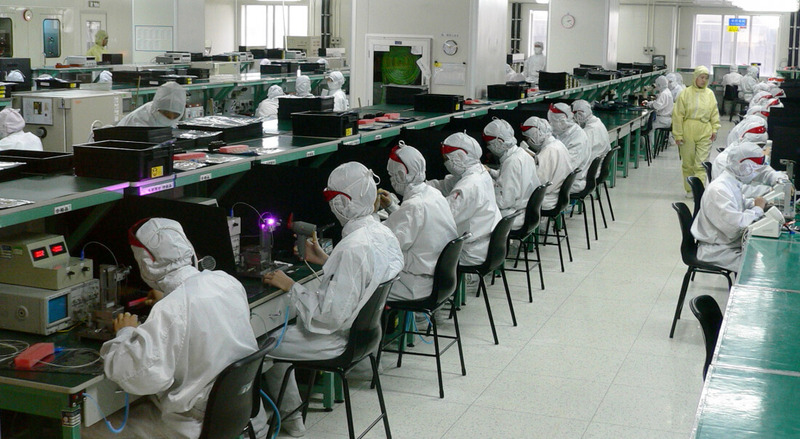 "Foxconn complied, while Pegatron declined to formulate such a plan due to cost concerns." It had been suggested that moving production to the US would see the price of Apple products shoot up – the Nikkei’s source said "making iPhones in the US means the cost will more than double.” The Wall Street Journal, meanwhile, recently outlined why Trump’s plan would be impractical, and wouldn’t necessarily create US jobs. However, some estimates claim that an iPhone assembled in the States would only cost about $30 extra, most of which would be a result of additional transportation expenses arising from shipping parts to the US. With Apple’s orders making up half of all Foxconn’s business, it’s not surprising that the Taiwanese company is looking into the possibility of a move, rather than face losing Apple as a customer. But whether Trump really does "get Apple to build their damn computers and things in this country instead of in other countries" remains to be seen. Earlier this week, China promised to cut iPhone and US automobile sales in the country if Trump imposed his promised 45 percent tariff on imports from the Asian nation.